Burmese Astrology is as old as the ancient civilization of Burma and this form of astrology continues to remain popular in Myanmar. The Burmese people know their own signs for month, year, and especially their day of birth. 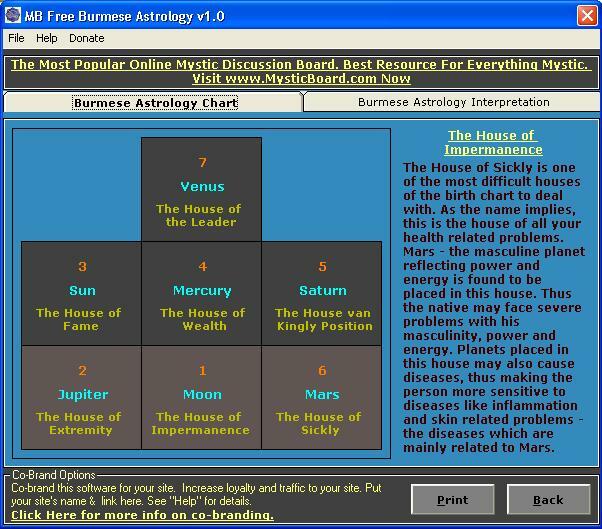 Burmese astrology also known as Myanmar astrology is based on the seven days of the week. There are eight zodiac signs (the extra one is for Wednesdays) - Monday, Tuesday, Wednesday AM, Wednesday PM, Thursday, Friday, Saturday and Sunday. A Burmese Astrology reading gives you a detailed interpretation of the sign you belong to as per the Burmese astrology, your lucky direction and your planetary ruler. These characteristics also help a person understand his personality and improve himself for the better.